Prags Gastronomie-, Nightlife- und Shopping-Angebot hat sich in den letzten Jahren fast verdreifacht – und die tschechische Hauptstadt ist heute ein Reiseziel, das nicht nur wegen seiner Geschichte und baulichen Opulenz besucht wird, sondern auch wegen seiner lebendigen Urbanität. Das Hotel Josef liegt mitten in einem pulsierenden Prager Viertel, neben Restaurants, Cafés, Galerien und Veranstaltungsorten und ist idealer Ausgangspunkt, um alles zu erkunden. Auf der von unserem Concierge-Team regelmäßig aktualisierten Seite Josef Loves stellen wir unsere Insider-Tipps vor – von den besten Baristas bis zu den angesagtesten Tischen der Stadt – exklusiv für unsere Gäste. (Weil wir Josef Loves tagesaktuell auf dem Laufenden halten, ist diese Seite ausschließlich auf Englisch verfügbar). The Asian menu of the Sia restaurant is based on traditional recipes and procedures, presented in a multi-level restaurant resembling an Asian market. The restaurant showcases several open kitchens and dishes are served when they are ready, in the middle of the table, making this a great place for lively lunches and dinners for adventurous patrons. 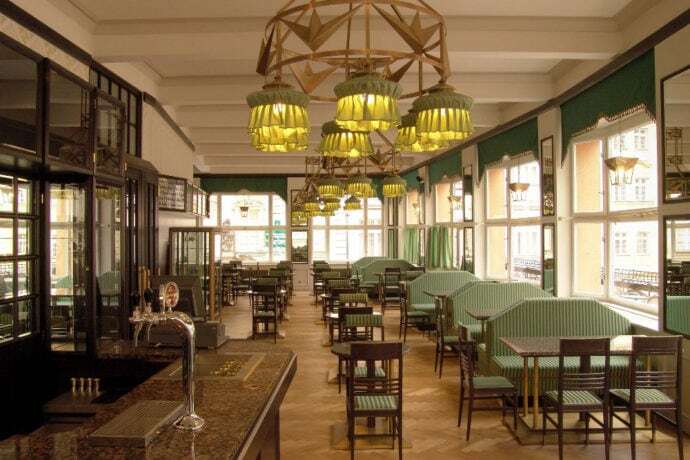 Café Savoy restaurant and coffee bar evokes the atmosphere of the cafés of the First Czechoslovak Republic. 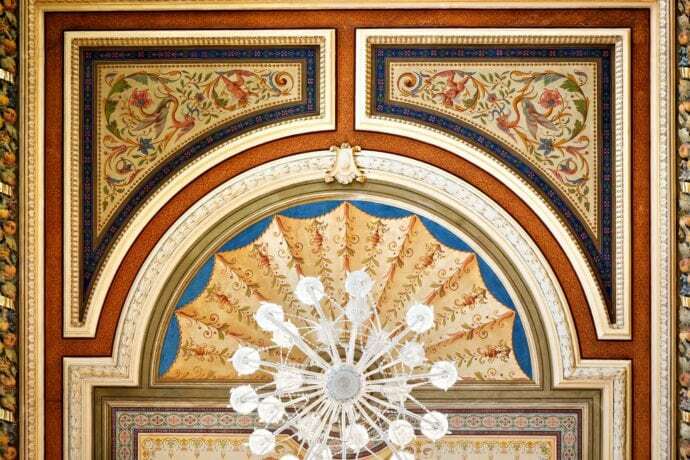 Its remarkable interior is dominated by a Neo-Renaissance ceiling dating back to 1893. 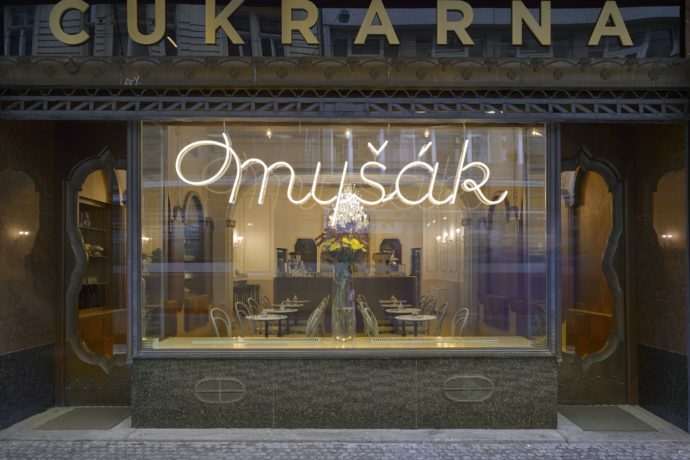 The restaurant is well-known for its substantial breakfasts and gourmet menu – including Czech snails or veal sweetbread. The restaurant’s own bakery offers fresh confectionery and baked goods on a daily basis. Prague waterfronts (Náplavka) showcase another side of the city. 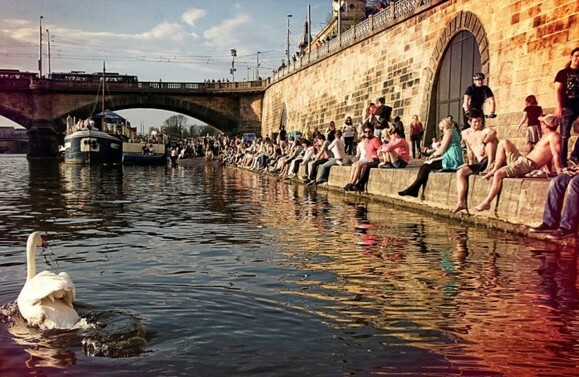 Having come to life in recent years as epicenters of outdoor weekend markets, live music, houseboat bars and galleries and even urban beaches, the atmosphere along the Vltava is unbeatable for its authenticicty, people watching and local food and drink. There are five of them but the most popular is Rašín Embankment near the Palacký Bridge. 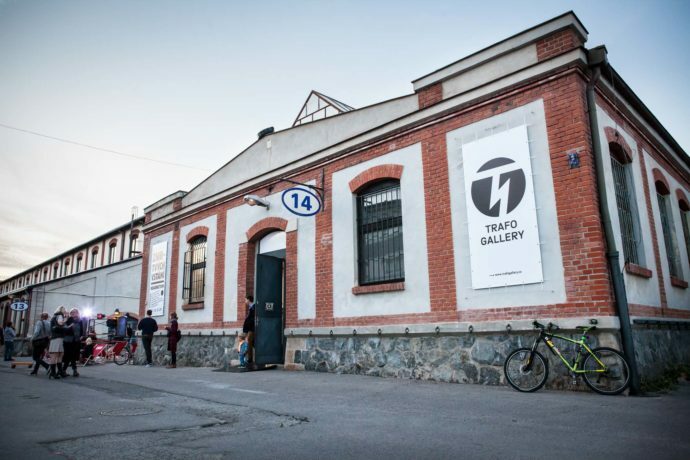 Private exhibition hall in a former slaughterhouse of the Holešovice street market, displaying outstanding artists from the 2006 Trafačka collective (Jan Kaláb, Jakub Nepraš, Michal Cimala and Blanka Čermáková) as well as a number of other artists connected to the local graffiti and street art scene. Today, the reborn Trafo Gallery puts on six exhibitions a year in cooperation with both local and international curators and artists. 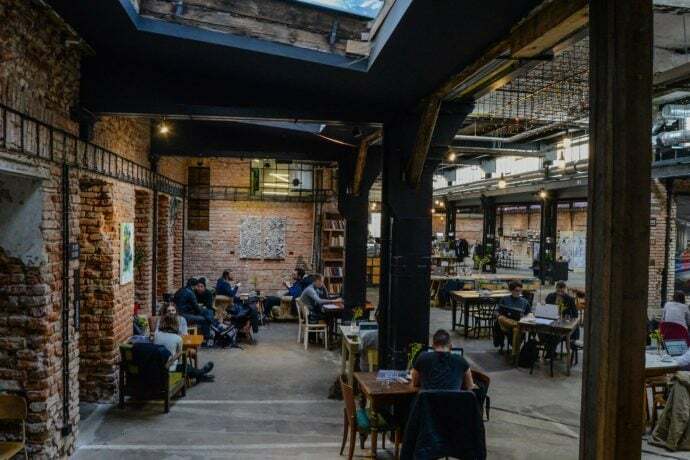 Visitors wanting to tune into the Prague’s alternative arts and culture scene shouldn’t miss this dynamic multi-purpose venue. Vnitroblock houses, in industrial surrounds, the Signature store & café – a gallery space for young designers and a showroom for local and Central European fashion brands that doubles as a stylish coffeehouse – as well as a dance studio, mini-cinema and DIY space set aside for T-shirt design and other creative projects. A multifunctional space in a former factory building in one of Prague’s trendiest districts. DOX is more than just an exhibition space. 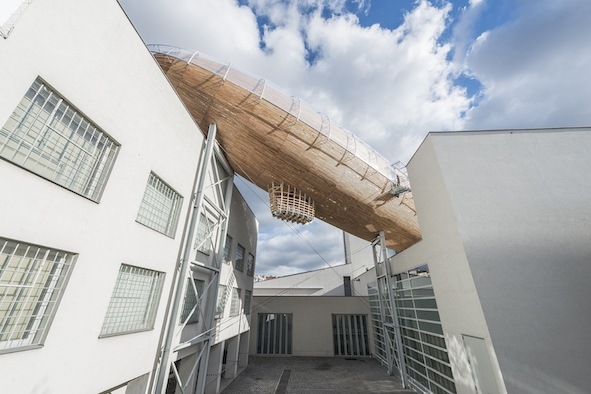 Through its exhibitions and presentations of current international and Czech art, it tries to open hot topics for discussion, which is further developed by the accompanying programs, public events, film screenings, interactive workshops and events taking place in its main building and world-famous suspended Gulliver Airship. 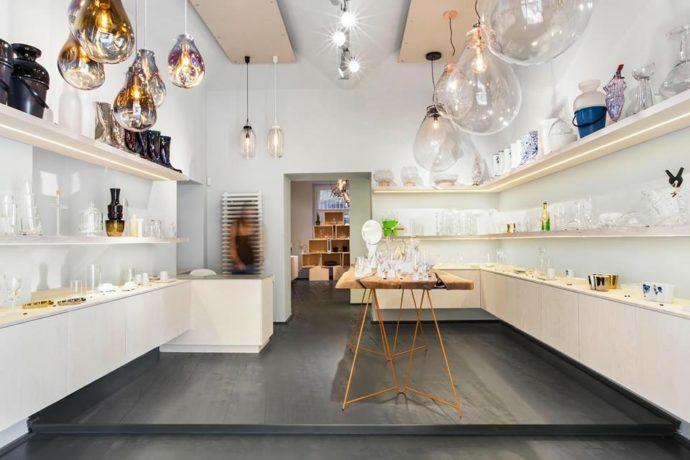 The first shop offering Czech design in Prague, here you will find items focused on glass and ceramic including pieces by renowned contemporary designers including Qubus founders Maxim Velčovský and Jakub Berdych. Known for its playful decorative items. A Prague-based fashion label founded in 2004 by designers Radka Sirková and Anna Tušková, their design approach offers a modern interpretation of both masculinity and femininity, achieved by creating thoughtful and provoking silhouettes through a cross-pollination of elements usually attributed to fashion for both men and women. There is beauty to be found in simplicity. This small gallery and shop in the heart of Old Town brings you the best collections of local and foreign artists and designers. A passion for simple, sober and modern design is a common thread in the collections of glass objects and ethereal jewelry found here. One of the true stars of Czech fashion, her clothing is tailored to perfection from the best quality fabrics. Unassuming, yet exuding the statement style of anyone lucky enough to be wearing them, DNB pieces are pure fashion poetry, blending fluidly with the human body. “Less mainstream, more individuality!” That´s the motto of this designer working with high quality materials and timeless designs. Launching only small collections, Hana prefers to work individually with her clients according to their needs. 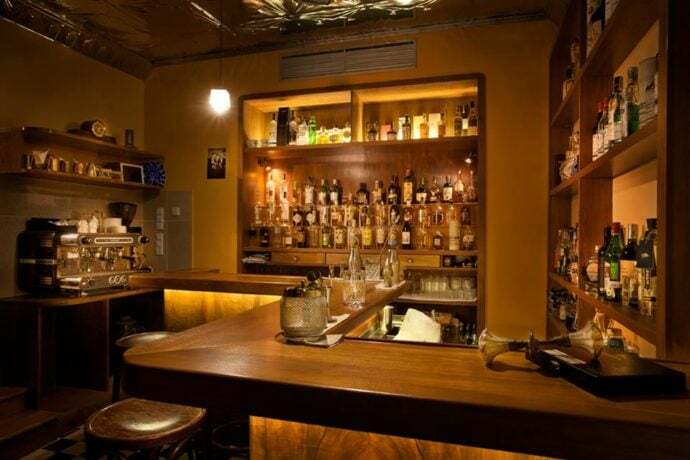 Established in 2008 as the second Bar and Books operation in Prague, Mánesova is a comfortable counterpart to the more formal Týnska Bar and Books. 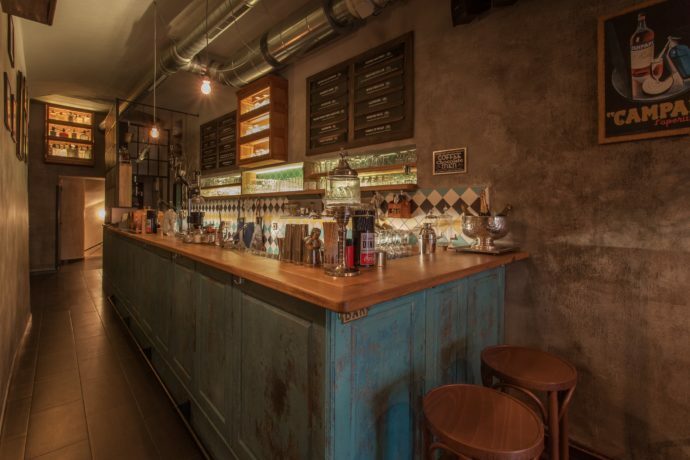 This cocktail and whisky bar is located in Vinohrady, Prague 2, one of the most desirable and upscale residential neighbourhoods in Prague. 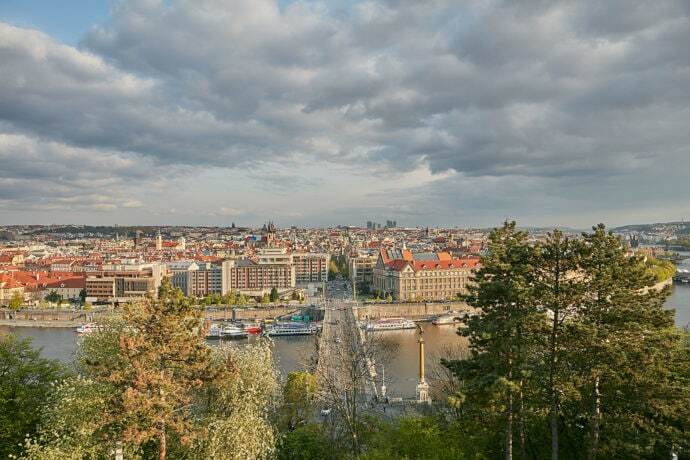 Little known fact: Prague has the third-largest Vietnamese community in Europe, a result of a migration and work program from the Communist era, which saw a number of Vietnamese settle in the Czech Republic. 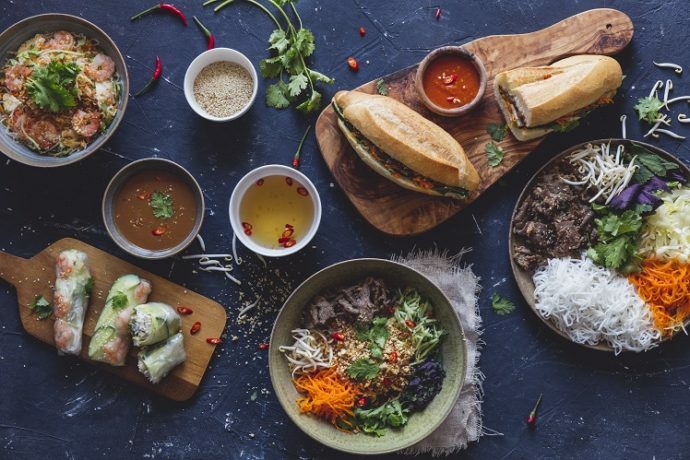 Explore the Vietnamese market in Holešovice or further afield in Libuš to get a sense of the roots they have created here while sampling some of the most delicious pho or bánh mì in Central Europe. Convenietnly located next to Hotel Josef, Banh Mi Makers is a great spot to try Vietnamese baguettes. Prague’s parks and outdoor areas are numerous. 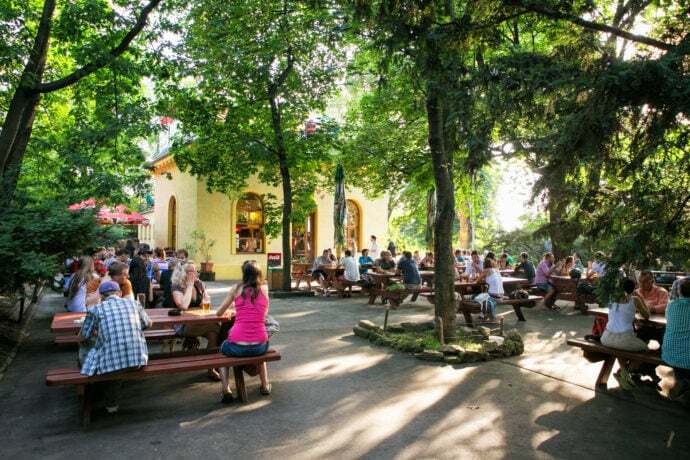 In Vinohrady Riegrovy Sady with its expansive view of the Czech capital is a beloved spot for a picnic or beer, especially at the outdoor seating area of restaurant Mlíkárna, which was once a working dairy counter. A prime example of hi-tech architecture this television transmitter was built in the 1980s and yet still looks like it came from outerspace. Famed for the David Černý sculptures of black alien babies crawling along its pillars (they were removed for cleaning recently and will be back in spring 2018) it’s located in a hip residential neighborhood with a notable restaurant/bar/café scene. 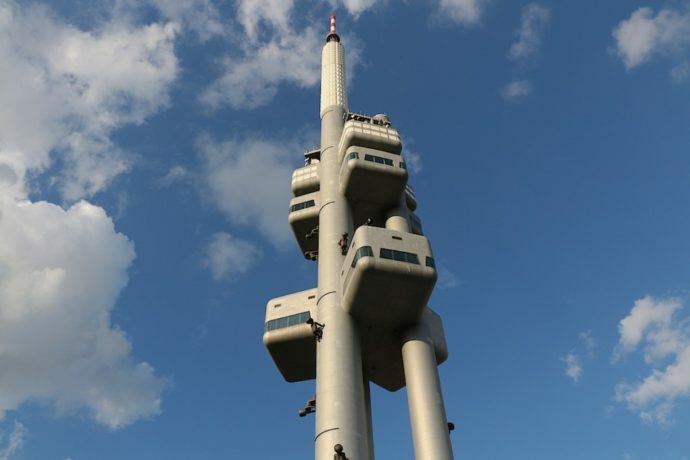 Go to the top for unrivalled views of Prague! Check out this glorious park on your way to or from Prague Castle and enjoy the spectacular view. There’s a beer garden on the south side of the park, but we really like the Stalin viewpoint, an open-air culture center with an intriguing history, that serves up live music and local color. Meander through the center of Prague without stepping a foot outside via its unique passageways. Called pasáž in Czech, these historic arcades are a great way to skip the tourist crowds while many of them house boutiques, cafes, and noteworthy architectural features. 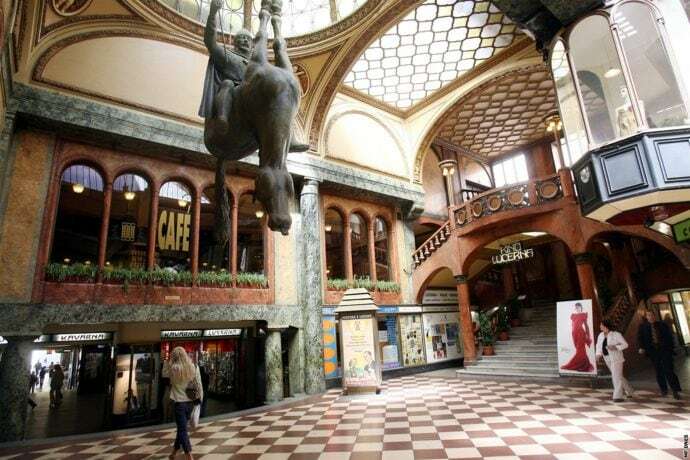 One of note: Art nouveau Lucerna Passage, accesible via Štěpánská or Vodičkova street. La Bottega Linka is the newest addition to La Collezione family group of Italian restaurants and bistros. 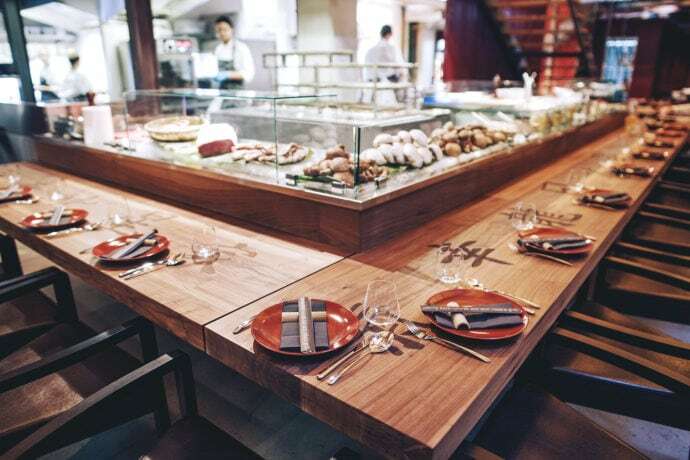 At Linka, everything revolves around their very special X – Oven, which is fuelled with charcoal. On top of that, Linka’s location has historical significance, and was once home to one of the most renowned delicatessen shops in the interwar period. 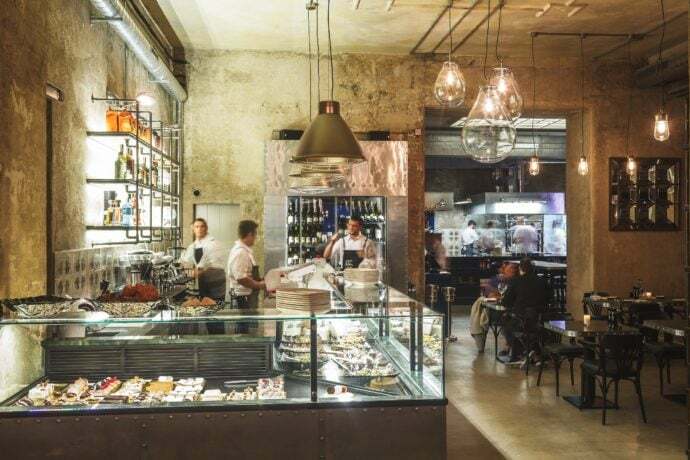 Linka is a mix of something old-fashioned with something new, and creates a cocktail full of distinct flavors and Italian authenticity in the very heart of Prague centrum. Bearing the name of the world-famous gallery, this institution has existed in Prague for over a century, since 1902. Among its patrons were Karel Capek, Franz Kafka as well as Albert Einstein during his professorship in Prague. 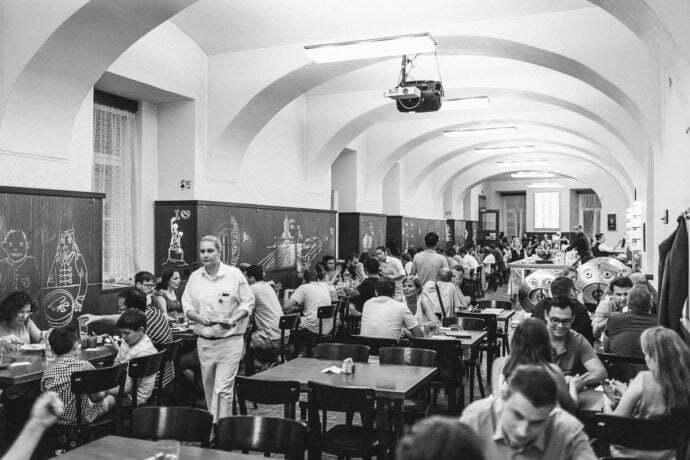 The café’s business was interrupted by force in 1948 by the communist coup when all of its furnishings were thrown out of the windows onto Národní Avenue below. This cultural melting pot was revived in 1992 when the devastated premises underwent a complete reconstruction. 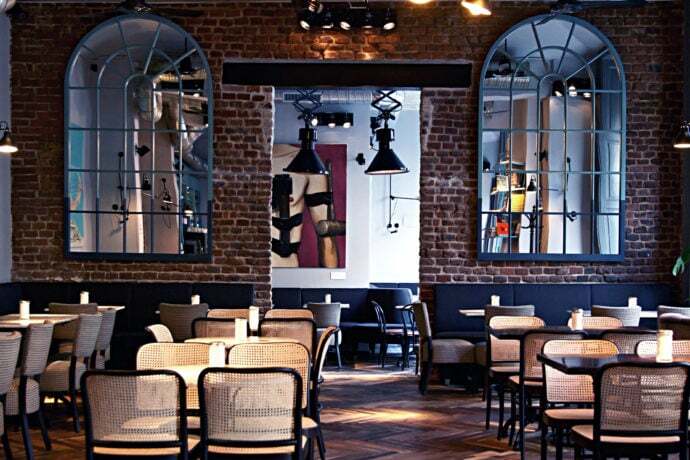 Lokal has taken the concept of a retro Czech beer hall and updated it with a quirky modern design. Czech classics are served with draught beer straight from the tanks. Lokal has several locations but we love this one since it is right down the street from Hotel Josef! Sansho was Prague’s first restaurant to focus on serving a whole, locally-raised animal from nose to tail. The expensive but comprehensive pan-Asian six-course tasting menu is served family style giving the upmarket restaurant a social feel. 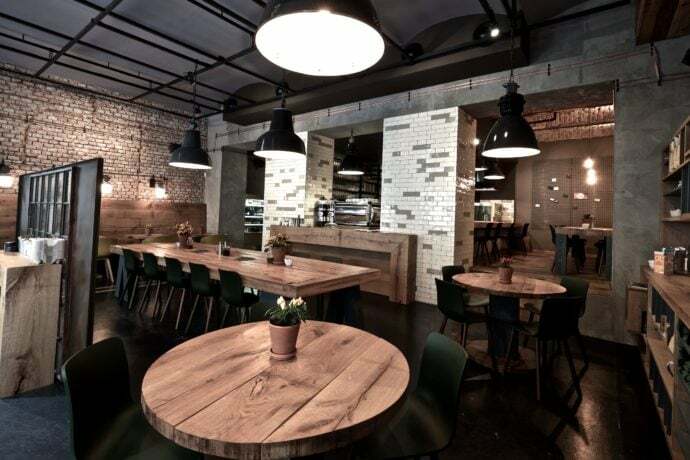 A popular see-and-be-seen hotspot among Czech celebrities, but also desirable location for locals who enjoy the chill vibe and stylish design of this contemporary café. 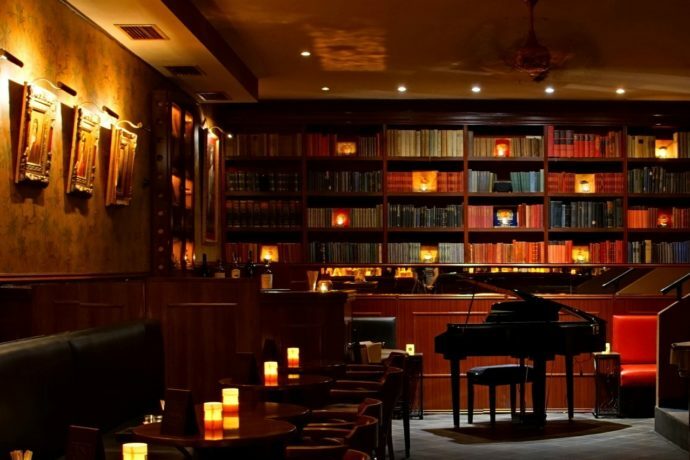 Apart from being one of the city’s coolest lounges, Café-Café is also a perfect spot for light bites or a glass of wine. 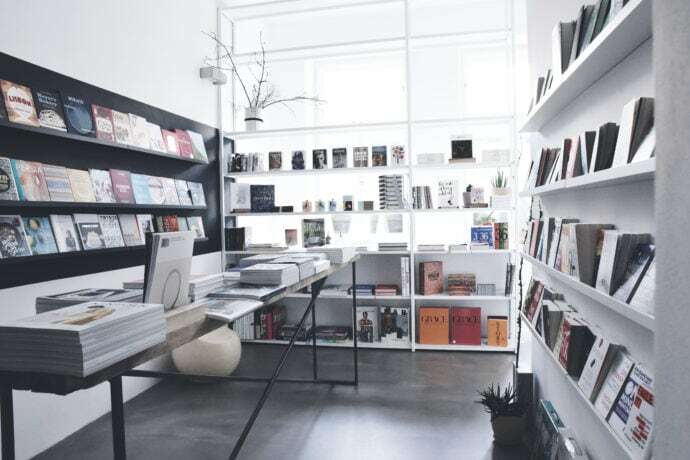 Book Therapy has an impressive collection of carefuly chosen art and design books as well as local interest and foreign titles and magazines in a beautifully designed retail space. Purchase something for holiday reading or stylish souvenir for book lovers back home. 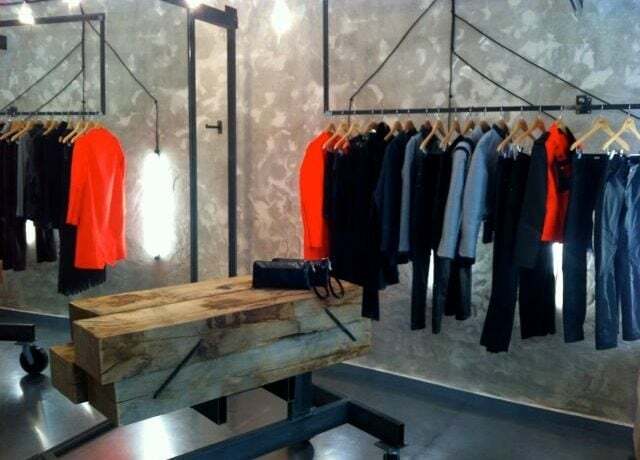 100% organic materials, simple and classic styles, a local designer – what more could you want from a fashion boutique? 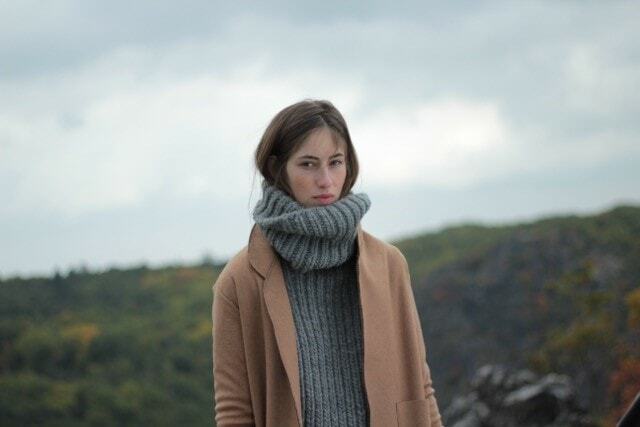 Visit Martina Hollasova’s shop to purchase clothing items that will last you a lifetime. Hemingway Bar is considered the best cocktail lounge in Prague but we prefer its sister establishment Cash Only Bar. Savor innovative cocktails and gourmet hot dogs while enjoying the beautifully stylized décor and friendly service. Don’t forget to bring cash! On the first floor of the House at the Black Madonna, a building that symbolizes the unique Czech contribution to the cubist movement not only in architecture but in furniture, pottery and glass. It was created by the renowned architect Josef Gočár when he was only 31 years old. The café within the house remained open for a mere ten years or so but closed in the 1920s when cubism fell out of fashion. 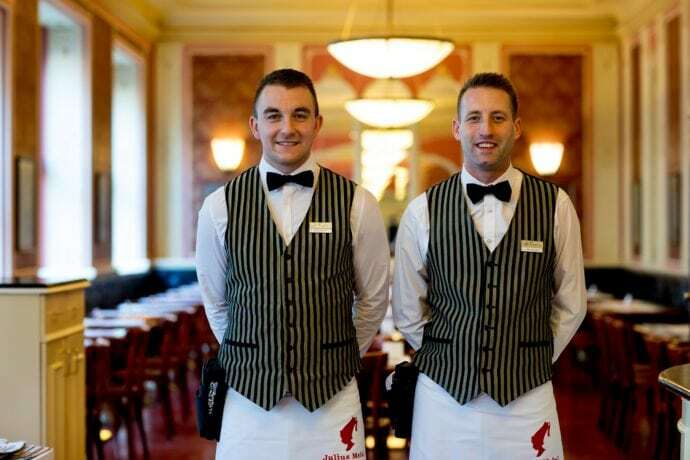 After a break of about 80 years the Grand Café Orient re-opened in 2005 after an extensive renovation based on black and white photographs, trying to reclaim the vibe and atmosphere of the cafe in 1912. The selection here is focused on authentic wines of the former Austrian empire. 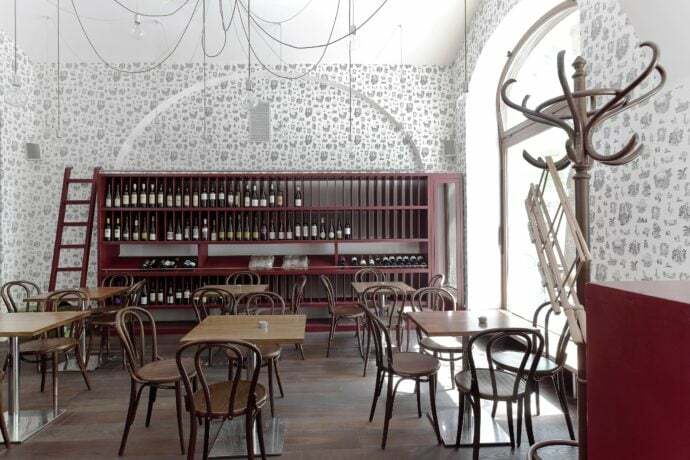 From Czech and Moravian vintages to Northern Italian, Croatian or Hungarian wines sit down to a glass in the welcoming stylized surrounds of this intimate Karlin bar or buy a bottle to enjoy back in your hotel room. Tiny, old fashioned bar-café serving brunch tapas, and signature cocktails with unexpected seasonal ingredients (think barbecue smoke or sweet pumpkin). Vintage surrounds are inspired by the Prohibition era. Some of the best service in town. František Myšák’s Prague confectionery was a First Republic institution considered among the best in Europe. Now the legendary establishment has been revamped with respect to the original look of the café from the 1920s.Offering deluxe breakfasts and classic confectionery, using time-honored recipes. 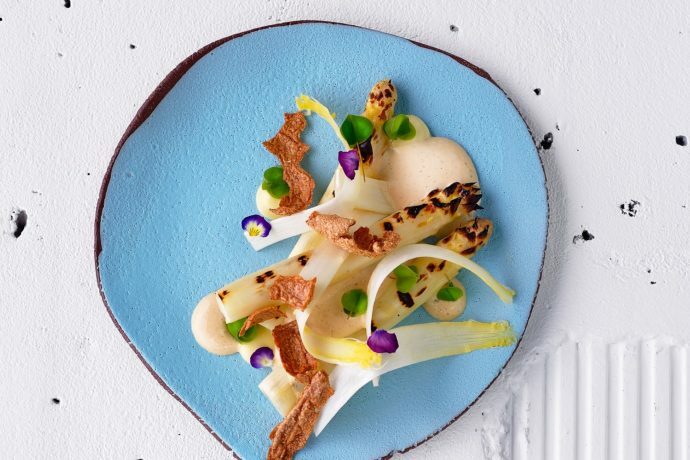 A restaurant and bakery housed in a renovated 19th-century factory, Eska focuses on locally foraged ingredients and centuries-old techniques like fermentation to serve dishes that take their cues from Czech tradition and Nordic cuisine. Recently awarded a Michelin Bib Gourmand for its quality meals at a sensible price. 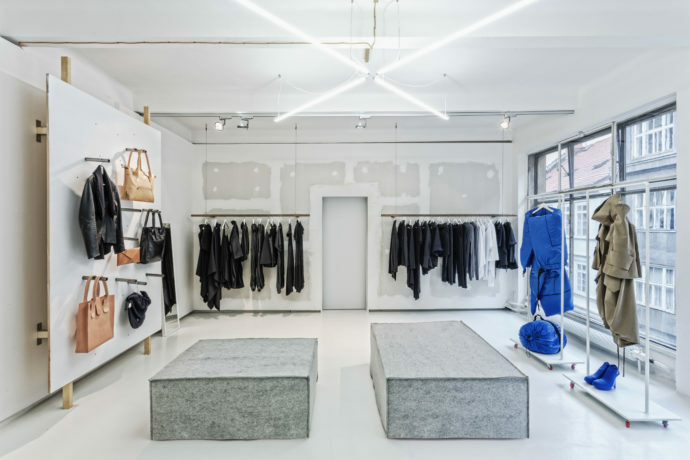 Timelessness and minimalism are the buzzwords of this boutique where carefully curated sustainable Czech and international clothing and design reflect the best of Prague’s slow fashion movement. Not far from Naměstí Republiky this espresso bar was an early pioneer of Prague’s renowned coffee scene. 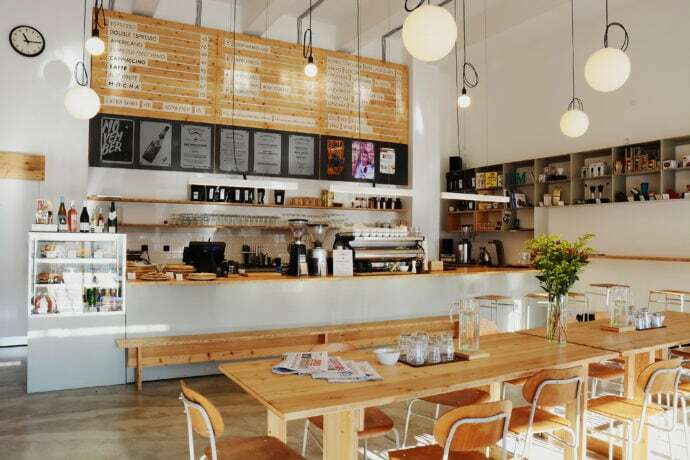 Drop in for an expertly made flat-white among local coffee afficionadoes. They also have delicious cakes! 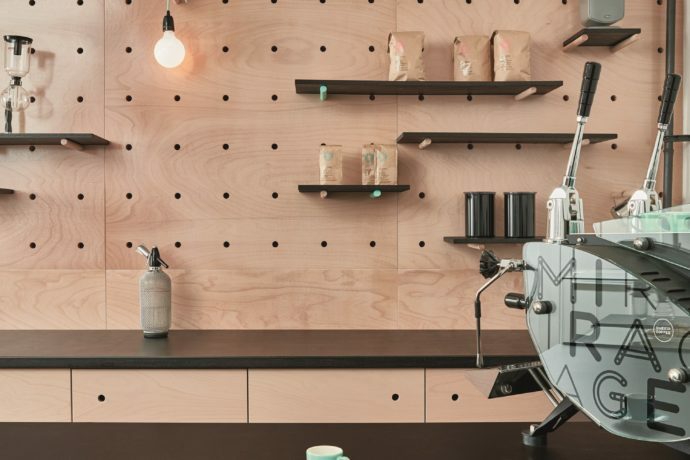 This Tokyo-sized espresso bar has become a hub for Prague’s burgeoning coffee scene: great coffee from European micro-roasters, two of the nicest baristas in town, and lots of heart. Another plus: it’s just around the corner from Hotel Josef. 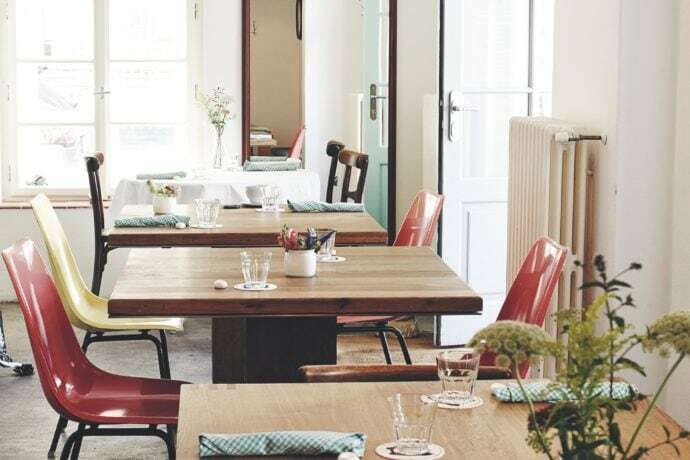 Rustic-casual bistro with an open kitchen where locals come to enjoy Czech soups and comfort food, fresh-baked breads and local wine and coffee. In lieu of a menu, daily meals and desserts are displayed on a farmhouse-style table.